Gather your family around the table to share a meal carefully prepared in the 5 1/2 qt. 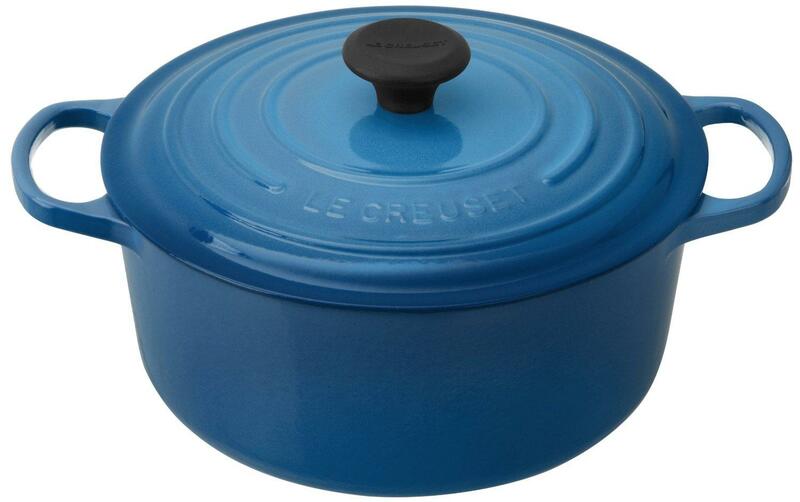 round French oven, Le Creuset’s signature piece that’s been well-loved for generations. The generous size is indispensable in any working kitchen, easily accommodating classic recipes like chicken soup or beouf bourguignon. This updated kitchen classic enhances the cooking process by evenly distributing heat and locking in the optimal amount of moisture. With ergonomic handles and an advanced interior enamel that resists chipping and cleans easily, Le Creuset’s French ovens blend the best of the past with the latest innovations in comfort and functionality.